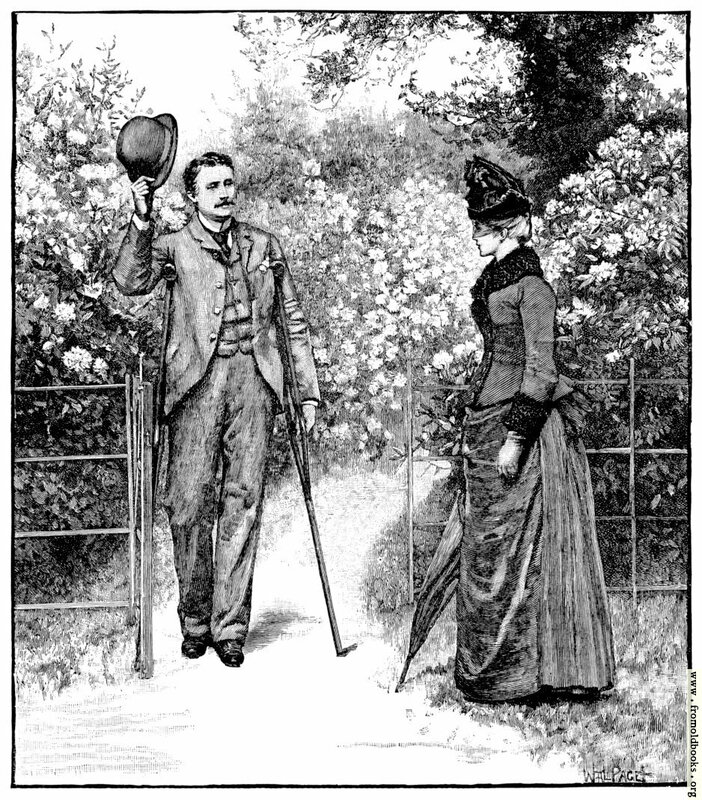 In this scene from a late Victorian magazine, a well-dressed man using a crutch has raised his bowler hat in greeting to a lady with a parasol. The lady wears an elaborate dress and bonnet. The gate appears to be in an iron fence; behind it a path leads through a garden of flowering bushes and trees. The images is signed Walpage.